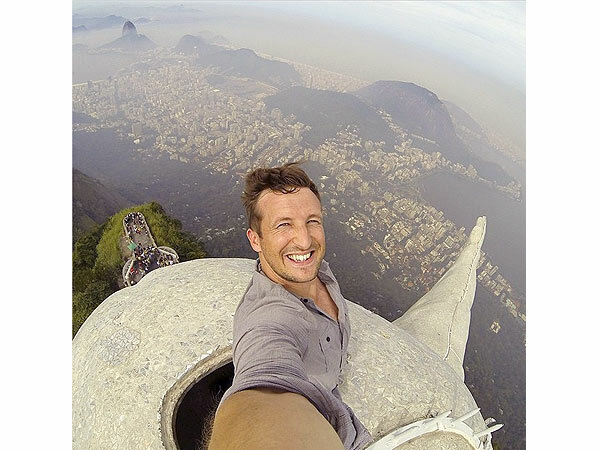 While we recommend you only take selfies decked head-to-toe in performance gear while you’re standing on top of something that was very difficult to climb (Mount Everest and Rio’s “Christ the Reedmer” come to mind), your pictures and your state of dress in said pictures is your business. But as various celebrity phone hacks and at least one Cameron Diaz film have proven in recent years, it doesn’t always stay that way if you’re not careful. Here are a few quick and easy tips for keeping photos and videos off the Internet and out of strange hands. 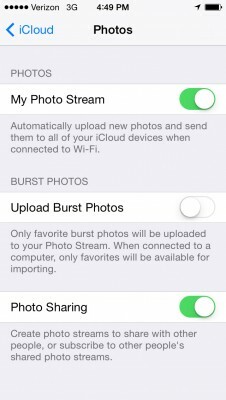 Rather than than having to turn on the Photo Stream feature, which automatically uploads your 1,000 most recent iPhone photos to the iCloud anytime you connect to WiFi, you instead have to disable the function to protect your photos and other data from being stored. This is likely is done for your convenience, and is great should you leave your phone in the back of a cab some day, but things that you may not want to keep for one reason or another live there without your knowledge, and with only passive permission. To disable this function on an iPhone, simply open your Settings, select the iCloud button (way down in the fourth set of menus), then select the Photos menu and unclick “My Photo Stream” and “Photo Sharing.” Your iPhone will warn you that this setting will delete all of your pictures from the Photo Stream, but don’t worry, those shots of your niece and nephew are safe on your phone’s hard drive in the camera roll. 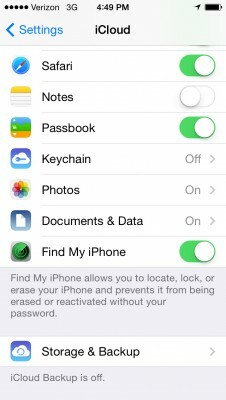 This setting only removes your phone’s ability to save your photos out in the ether where they can be found and stolen. 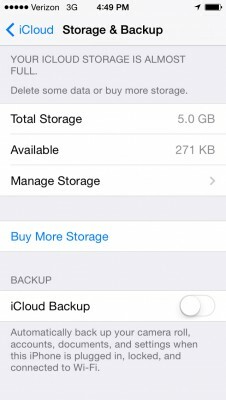 If you’ve owned your phone for a while, the five gigs of free storage on your iCloud is likely full of photos, videos, podcasts, contacts, and whatever else you might have done recently despite you never purposefully uploading anything at all. 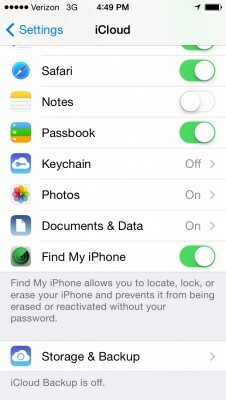 Again, this is great if you ever lose or break your phone, but if you want to make sure that your personal photos or information don’t exist anywhere but on your physical device, open up your Settings, click on the iCloud tab again, scroll down to Storage & Back Up, and turn off your iCloud backup. Then, continue scrolling down and click on Manage Storage. 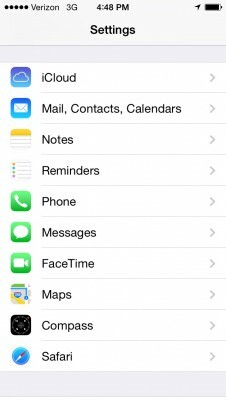 Here, you can determine which data you want saved on your iCloud, or you can delete any or all of your backed up files. 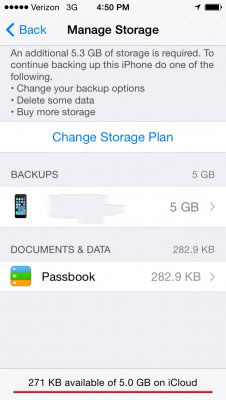 Your iCloud should be protected by a difficult, case-sensitive password no one else has access to that uses letters, numbers, and symbols, and your phone should always be locked with a difficult pin and/or your finger print identification when it’s not sitting in your hand. If done correctly, a lost phone reported immediately to your service provider will effectively become a very expensive paperweight for the next person who happens to find it. Follow these simple rules and you should be able to take any photos you want. Even if it’s just a picture of your most recent meal that absolutely no one wants to see.